Nettology is proud to be a Datto partner. Datto is a leading provider of comprehensive data backup and disaster recovery solutions. In these days when cyber crashes, viruses and hacking are more common than ever, you need to have a trusted, comprehensive backup system, and a support team you trust. That’s where Nettology comes in. 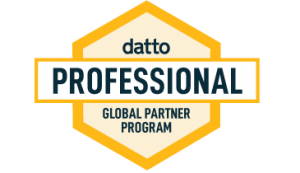 We are proud Datto partners and can provide leading backup and data restoration solution for businesses of all sizes. If you’re based in the Philadelphia area and looking for Ransomware protection and data backup solutions, Nettology can create a specific plan to meet your needs. As Datto Partners we provide backup solution to your business with state of the art data protection. Nettology can implement a support solution that provides BDR and intelligent business continuity (IBC). These network backup solutions feature include instant on- and off-site virtualization, screenshot backup verification and completely independent restore points. We can implement a Datto backup solution that will give your business uninterrupted access to critical data onsite and in the cloud. As Datto Partners, Nettology can design, configure and install a Datto solution that fits your specific business needs. Whether you’re in Philadelphia or anywhere in the US, we can provide you state-of-the-art solutions to ensure business continuity and productivity. Datto’s ability to turn up a virtualized backup of a server is a critical necessity in today’s business environment. Ransomware attacks cripple businesses, and are particularly damaging to small businesses. lost $75 million in downtime due to ransomware attacks. 48% lost critical business data. Datto business disaster recovery solutions help companies of all sizes protect against prolonged downtime. In the event of a Ransomware attack, as Datto partners we can quickly restore corrupted or lost data. If a Ransomware attack locks your files, Datto solutions can rollback and restore your files. Learn more about Ransomware by reading our blog. Protection for Office 365, OneDrive, Microsoft SharePoint, Google Apps and Salesforce data. Automated image-based backups are scheduled up to three times a day, with additional backup customization possible. The Datto SIRIS. Can be deployed as a physical appliance, in a virtualized environment, or imaged for use on existing hardware. Business data can be backed up to a local device in real time and synchronized with the Datto Cloud. Datto NAS 3. A scalable cloud network storage platform with cloud-based backup snapshots that can quickly restore data in the event of a disaster. Talk to us about a Datto backup solution for your business! Or view other services we offer.